The implementation of hub-and-spoke networks in intermodal transport is suggested as one of the potential solutions for helping to increase the intermodal market share. Traditionally, trains are shunted at hubs; this is a time-consuming process. Since the early 1990’s a new type of intermodal terminal, specifically designed for fast transshipment at nodes in hub-and-spoke networks, has been introduced in Europe. These hub terminals could replace this time-consuming shunting. Studies on the new hub terminals suggest that they may perform more efficiently than shunting yards. However, a systematic comparison to reveal the operational and costs differences between shunting and these new hub-terminals for a broad range of situations still lacks. 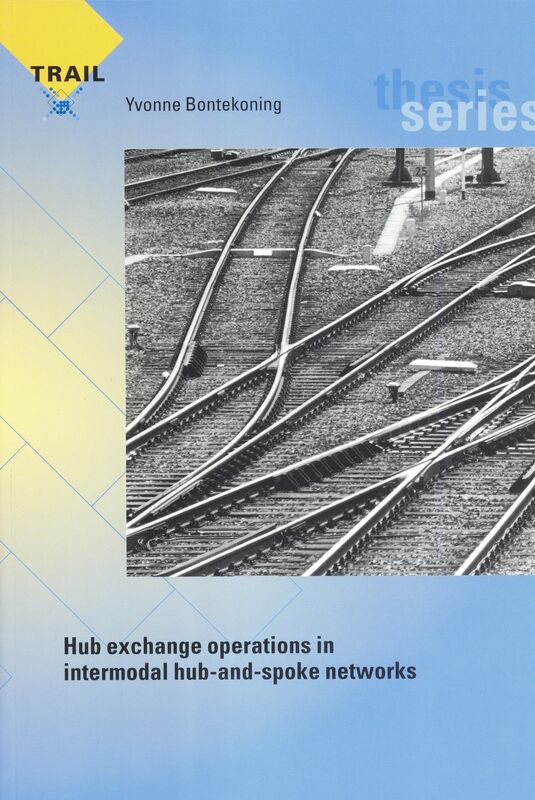 The main objective of the study was to develop a model to identify favourable operational conditions for new hub terminals to be implemented and to quantify their operational performances in relation to alternative hub exchange facilities. Simulation models were developed to study rail-rail exchange operations at new hub-terminals, hump and flat shuntings yard and road-rail terminals.